Whitening your teeth is easy. You can whiten for a few minutes during the day or whiten at night. It’s your choice! We offer Phillips Zoom Nite White and Day White take home bleaching kits. 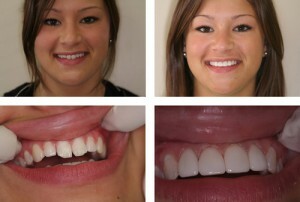 Your dentist will make you a custom bleaching tray and you will have a brighter, whiter smile in just 14 days. We offer the KÖR Whitening Deep Bleaching System in our office. You can achieve dramatic results with KÖR Whitening. The KÖR Whitening Deep Bleaching System includes an in office procedure that uses a specially formulated material that only a dental professional can apply giving you WOW results. A veneers is a thin piece of custom-made porcelain made to fit over the front of your tooth giving it a more natural look. Veneers can change the appearance of your smile if you have broken, worn or chipped teeth, stained teeth, discolored fillings that need to be replaced, small gaps between your teeth or a slight misalignment. Bonding is used to repair broken or chipped teeth. Your dentist will use tooth colored filling material to restore your teeth to a more natural contour. Bonding is a minor procedure that can make a big difference in the appearance of your smile. Crowns and bridges are used to restore your teeth, but can also change the appearance of your smile. Sometimes, the change in appearance can be dramatic. In a full mouth restoration case, the size, shape and shade of your teeth can be changed slightly and missing teeth can be replaced creating a beautiful new smile. Dental implants replace missing teeth without disturbing the teeth around the space. In many cases, it doesn’t matter if you have been missing a tooth for years, you can still replace it with a dental implant. Dental implants are place by a specialist and we create a custom made crown or bridge that fits over the dental implant or implants. Dental implants can make your smile whole again. A well made, custom denture can completely change your appearance. 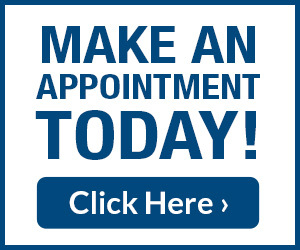 Not only will you have a beautiful smile, but it can help fill out the contour of your face. Patients who have been living without most or all of their teeth for an extended period of time will begin to notice a change in the contour of their face due to the lack of support from the teeth. Dentures can give your smile a “lift”. Your dentist will work with you to find the best size, shape and shade of the teeth in your denture so you can have the beautiful smile you’ve always wanted. Invisalign is the clear alternative to traditional braces. With Invisalign, clear aligners fit securely over your teeth and are virtually invisible to others. That way, no one has to know you are even wearing them. Invisalign is a truly cosmetic way to straighten your teeth.